At Aircuity, we couldn’t agree more and our bi-annual sensor exchange is a core element of our solution’s long-term accuracy. The Calibration Laboratory at our headquarters calibrates over 6,000 sensors annually. A team of 6 calibration technicians follow a regimented calibration process, which with a calibration verification phase when sensors are run for 1 to 5 days to eliminate programming or out of box failures. The newly calibrated sensors are shipped to Aircuity-certified technicians around the world who install them at local customers’ facilities. 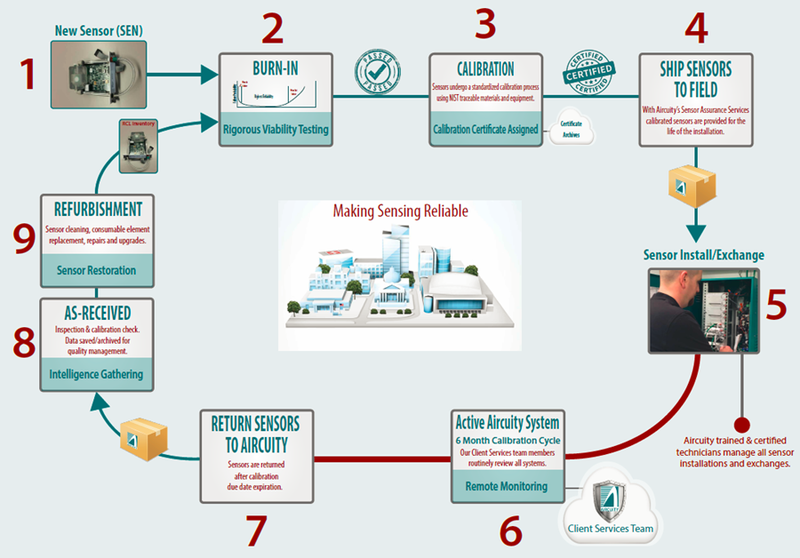 Our sensor calibration process means fewer headaches for customers and a solution that building occupants and constituents can count on! Need your sensors calibrated? email us.